Pandora, Haji, Penny, and their families all live on Earth after a disease called Black Ep killed the last generation of pure humans. Now, everyone left on Earth is formed through cloning or artificial wombs. Many of the adults spend their time researching a cure for Black Ep that may make the planet habitable for natural life forms in the future. These individuals tell their children that they are always only one mutation away from being infected by the disease. What if that one mutation is already in the works? How can the population survive in a world where a plague is one amino acid combination away from killing all of them? As I try to summarize this book, I’m realizing that I’m not quite sure what it was really about. There were a lot of storylines going on and the book wasn’t long enough to let them properly intertwine and piece together. On the other hand, if it had been much longer, I probably would have just put it down. It wasn’t interesting enough to be more than 350 pages. Maybe my problem with Edenborn is that I haven’t read it’s prequel, Idlewild. I say maybe because every review I checked before picking up this novel told me that I didn’t have to read the first in the series to know what was happening. I guess I’m just making excuses for a mediocre book. I don’t have much to say about Edenborn. 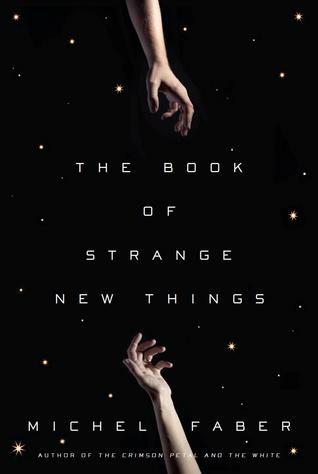 I was hoping for a great science fiction read with a hint of feminist rhetoric and ended up with a story with great potential that fell short of the mark. A+ idea, C- execution. Somewhere around 1918, Joe Gould began recording every conversation he had with other people living in the United States. He wrote in hundreds of composition journals and filled the pages with quotations and paraphrases from his daily encounters and called it the “Oral History”. Gould insisted that publishers could not publish his work until after he died, as it was not meant for the current generation. In the late 1940’s, Gould was admitted to a hospital that virtually ceased his writing. After that, the journals stopped. After Gould passed away in 1957, the search for the “Oral History” began. Researchers tried contacting Gould’s friends, relatives, and people mentioned in his surviving letters. The story told in the surviving paperwork falls apart upon fact-checking some of the dates. If there is no trace of the hundreds of journals containing the “Oral History”, is it possible that it never existed at all? Jill Lepore, thank you for writing the biography that got me out of my reading slump. I rarely read nonfiction, much less biographies, but I am so glad I picked up this book. What I love about this book is the dual-plot structure between Joe Gould’s history and Lepore’s search for clues about the accuracy of the first plot. She tells Gould’s story as previous researchers have told it, but also voices her questions and rediscovers parts of his life herself. Although others have tackled the debate over the existence of the “Oral History”, Lepore certainly conducts her own research and draws her own conclusions. Interestingly, although Lepore outlines the facts she discovered, she allows the readers to form their own thoughts on the issue as well. Lepore says, “After reading everything about Gould I could possibly get my hands on, here are the facts and the story as I found it; do what you’d like with that”. In my opinion, that makes for the best kind of biography. I also want to comment on the language of the book. The sentences are structured in a clear and succinct way. I have been deterred from biographies in the past because of the superfluous sentences that make the plot boring. I end up wondering why I’d want to read a biography about someone whose life was plainly uninteresting to me, and set the book down. Lepore has a way of keeping each sentence short enough to continue holding the reader, but concise enough to give the information needed. I wish every biography that I tried reading in the past could be rewritten into this sentence format because I am sure I’d pick them up again. This was a really great read on a subject and person I knew nothing about beforehand. I’m glad I picked it up off of the NYT nonfiction best seller’s table at my town’s bookstore. It was an impulse buy, but a cherished one. Leonard, or Lenny, Abramov is a 39 year old business man working to make people live forever. He, himself, is not in perfect physical condition, but he travels around the world in search of good candidates. While in Europe, he meets a beautiful, and much younger, girl named Eunice who captures his heart. He journals about Eunice and invites her to stay with him in New York when they both arrive back in the states. Although very mismatched, the couple finds themselves living together a few weeks later. Through Lenny’s journal entries and Eunice’s chat logs with her friends, these two narrate what a complicated relationship truly looks like. I picked up this book because I saw my friend reading it for his college English class. He actually told me that he really did not enjoy it, but I wanted to give it a try for myself. I genuinely thought I would like this book more, but it didn’t live up to my expectations. Super Sad True Love Story reads more like a catalogue of events and feelings than an actual novel. Most of the book is told in the format of Lenny’s journal entries which are, to be honest, really pathetic. He is a really unlikeable character whose only redeeming quality is his ability to somehow always see the good in a girl who treats him poorly. I felt bad for Lenny while reading his pitiful diary entries, but not bad enough to actually like him as a character. Eunice, too, doesn’t have very many good qualities about her. She plays with the heart of a man who truly wants the best for her, uses her parents for money, and seems to lack general maturity. On top of this, it wasn’t even fun to read from her point of view. I skimmed most of her sections. I gave this book a lot of patience and wasn’t really rewarded in the end. That being said, I did read all the way through it without being put in a reading slump. The quality of writing and narration was there, but I couldn’t get on board with the characters. I wish I had liked Super Sad True Love Story more. Liza Winthrop is a high school senior busy with student council, college applications, and attending an extremely Catholic school. While visiting a museum, she runs into a girl, Annie, who completely turns her life around. Annie shares her world, a low-income town and a room full of flowers, while Liza shares hers, a love for architecture and a caring younger brother. These two girls become inseparable and somewhere along the way find themselves with deeper feelings for each other. I cannot express how important this book is. This is the book to read for adolescent girls trying to discover their sexualities. The story of Liza and Annie is so touching and real that it can really speak to young adults experiencing the same feelings, questions, and confusion. Every time I hear of a girl struggling to come to terms with her sexuality, I just want to shove this book in her face and say “it’s okay! Stop beating yourself up for something you have no control over”. Not only is this an important LGBT novel, but it’s such a cute story. It’s a story about two people discovering what it means to love someone and seeing how powerful that emotion can be. 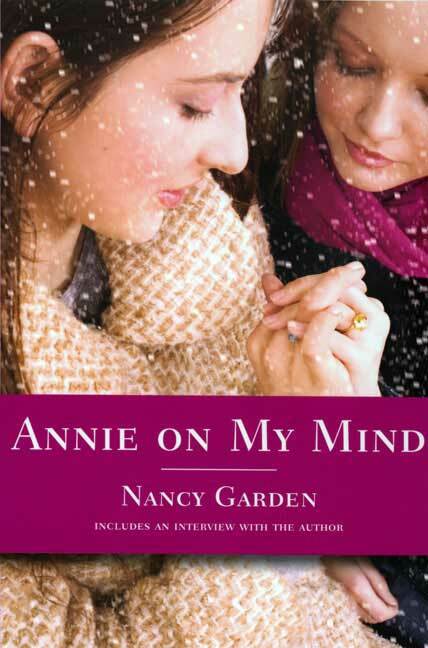 Annie on My Mind may be about two girls, but has nothing to do with the fact that it’s like every other novel written about teenagers falling in love. I loved everything about this book and found myself in a good mood every time I picked it up. Richard Mayhew lives a boring life in London, working at a job that doesn’t seem to interest him and engaged to a woman who isn’t right for him. He comes across a girl named Door, bleeding and helpless on the side of the road, and decides to bring her back to his apartment. Through meeting Door, Richard is thrown into London Below, another version of London full of people who “fell through the cracks”. He turns invisible to everyone from his old life, but he meets incredible people living below– Rat-speakers, beast hunters, and bird sellers. Richard and Door embark on a journey to avenge Door’s family and help Richard get back to London Above; a life far less interesting than the one he has below. 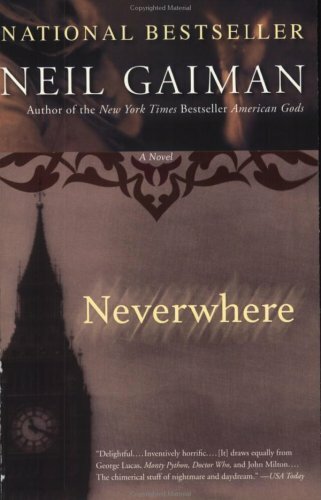 This is such a classic Gaiman novel. I’ve come to love Urban Fantasy through reading his novels. If someone were to ask me what urban fantasy is, I’d just hand them this novel in silence. There’s no way to put it in words. People who have read any of Gaiman’s novels will know what I’m talking about. This book is great. Richard is the perfect protagonist who you kinda hate for being so annoying but end up rooting for him by the end of the novel. Door, too, is a protagonist and a strong female character. I often find books that are centered around a male character and consequently fail to represent any female power. Door is, in fact, very powerful and an important character not just for Richard, but for the novel in general. Yay for prominent female characters! It was interesting reading the discussion questions at the end of the book/interview with Neil Gaiman. He says that that the novel can be read as a satire and commentary on the lower class and homeless populations living in London today. I definitely didn’t read the book that way, but it’s an interesting point of view. I might go back and skim this novel with this new lens on it!